Harry Greeley/Cushman & Wakefield, Inc.
Harry Greeley is the Senior Director of Transaction Services at Cushman & Wakefield (C&W), where he has worked since 1997. 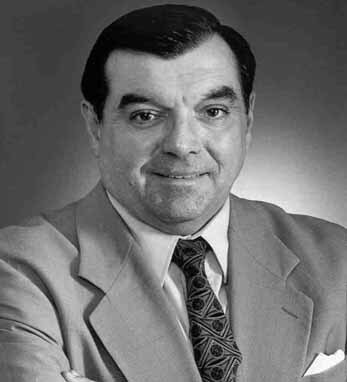 During his tenure with C&W, which has a subsidiary in Dublin, he has consistently been distinguished as being one of its Top 100 Producers, and was awarded the Bronze Award for Production in 1999 for his work on a 465,000sf transaction for VNU, Inc., which was nominated for REBNY’s most ingenious deal of the year award. Greeley is also active with a number of other industry, professional, and charitable associations, including the Real Estate Board of New York; Member, Hudson Valley Hospital; Board Member, CoreNet (Corporate Global Real Estate Network); International Facility Management Association (IFMA); National Arts Club; and Ireland-United States Council. Born in Queens, New York, Greeley earned his Bachelor of Science degree from Pratt Institute in Brooklyn. A third-generation Irish-American whose grandfather emigrated from Ballymacshane in Co. Longford in 1864, Greeley says that his Irish heritage has taught him “the present is always a product of the past.” Greeley is married with two children.